Retirement phase of life is usually dull and quiet stagnant. You might be doing stuffs which seem uninteresting and boring. However, there are plenty of games for the elderly that you might not be aware of. You can always take out time to meet your friends who have also retired from their work. You can plan a picnic and take some board games along with you and have fun. 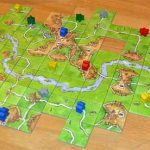 Board games are interesting to play as they involve various strategy movements and also you can play them in groups. This will give some awesome hours to rejoice your life and create more happy moments to cherish. 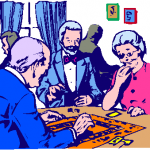 Board games for the elderly are much simpler and interesting. You always have the choice to make the game harder. There are plenty of new games in the market that you can buy and get its basic knowledge through the instructional manual. However, you won’t be able to have knowledge on the strategy movements of any game through the manual. I was just browsing through some games for my grandparents and found an interesting game known as halma. It was invented by an American thoracic surgeon named George Howard Monks. What’s Inside The Box Of Halma? The main objective of halma is to move all your pieces from one corner of the board to the other. At every turn, you move your piece to the adjacent square. You have the option to jump over the adjacent square and keep on doing that unless until you find an empty square to place your piece. 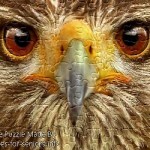 The game consists of a checkered board which is designed into the formation of 16*16 squares. You will also get two colored different set of pieces. They are usually black and yellow in color and you can also buy this game with four different colored set of pieces for playing it with four players. The most common color you will find for pieces are red, green, black and yellow. You will get a total 61 pieces. How To Distribute Pieces In Halma? For two players you can play with 18 pieces each. For three players you can play with 14 pieces each. For four players you can play with 11 pieces each. You can always randomly decide as who will start the game and then continue as the game proceeds. You will just love it and especially it becomes a bit typical when everyone’s pieces are at the centre of the board. This makes it interesting to watch as who will be able to get the maximum hop and able to reach the other end. Halma is definitely the best game for the elderly and will make your retired days filled with fun and frolic. Halma, an interesting game for the elderly can also end up with a draw. However, it only happens when some player has taken a wrong chance or has made a wrong move in the game. You should make optimum use of your time in your retired life. You always have the choice to enjoy many activities for the elderly that brings fun and also exercise your mental power. You can also take these games to your favorite place and organize some get together with your family and friends and enjoy it. So what you waiting for, grab the game and start exploring it.